Second Batch hard at work. The second week of the NFLC started at 9:30am with a Crossing Boundary Exercise (CBE). CBE’s are very useful for sharing our thoughts with each other. 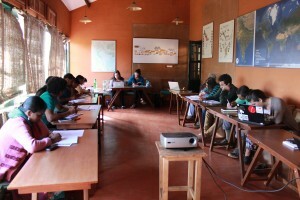 Livelihoods was the theme of week two. The CBE helped us very much to learn about the different livelihoods of the Keystone students as well as the Cornell students. 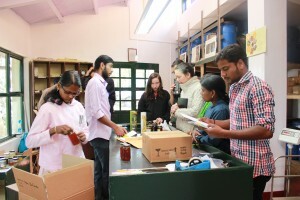 Second Batch makes a visit to Keystone’s partner company, Last Forest Enterprises, to learn about their selection of value-added, non-timber forest products, a source of livelihood for the region’s communities. 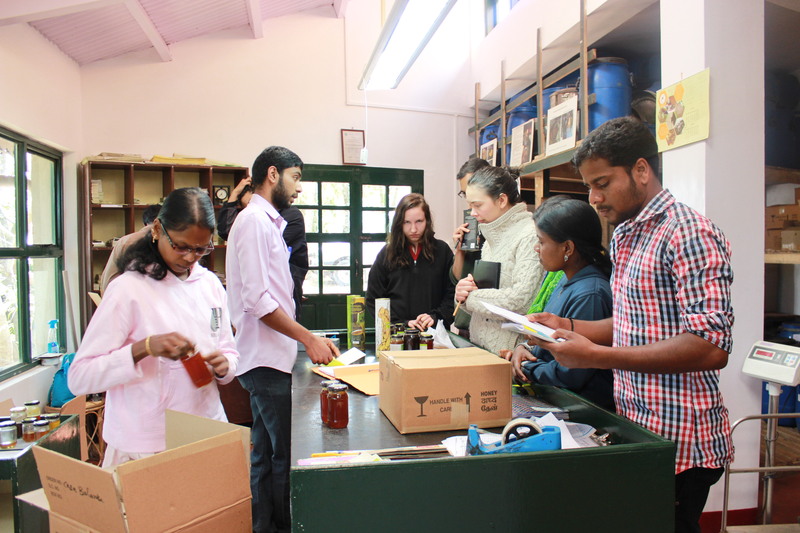 Here, they get a taste of the exquisite Nilgiris honey. The presentation on livelihoods was effective. The frame work that was presented based on livelihoods brought new ideas into the classroom and made me think about my own livelihood. The session after lunch was that of critical geography. It was a complicated session for me. The exercise was interesting, though: it was about identity. The class about eco-tourism was interesting. I gathered that tourism was also useful for the development of livelihoods for some community people in other regions. 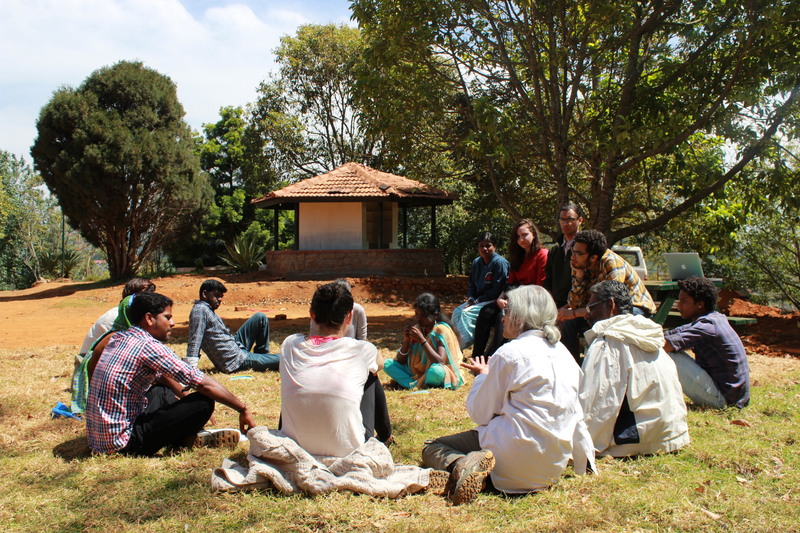 The presentation on tea cultivation enabled me to understand the change in landscape in the Nilgiris from the British period to the present. 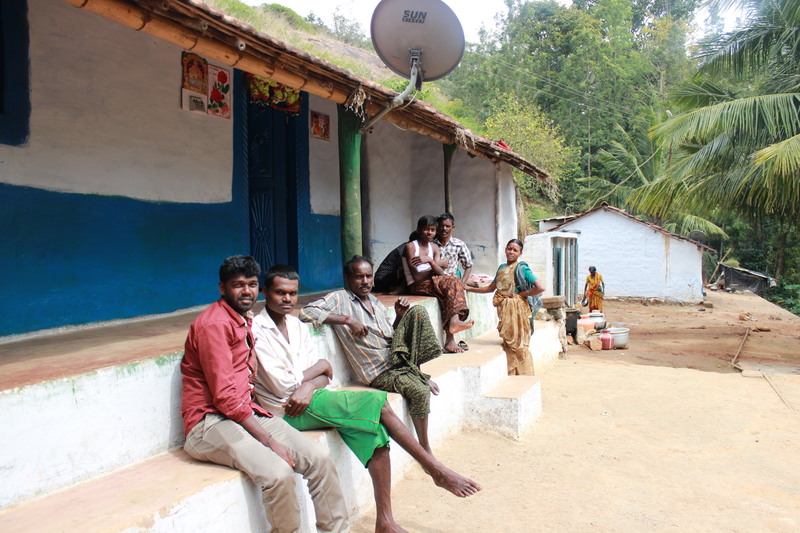 I also came to know about how communities changed their livelihoods from agriculture to tea plantations and also about the loss of Shola forests in the Nilgiri district. Business and Marketing were the other topics that we learnt this week. In these classes, I understood how community people are benefited by organic farming. Take the classroom outdoors: in typical NFLC fashion, Second Batch takes the day’s lecture to the lawn outside MandaArae. The second week of the NFLC had two field trips. It was very useful for us to see the different landscapes. We also got a better chance to communicate with each other. We visited a few villages in a place called Aracode. 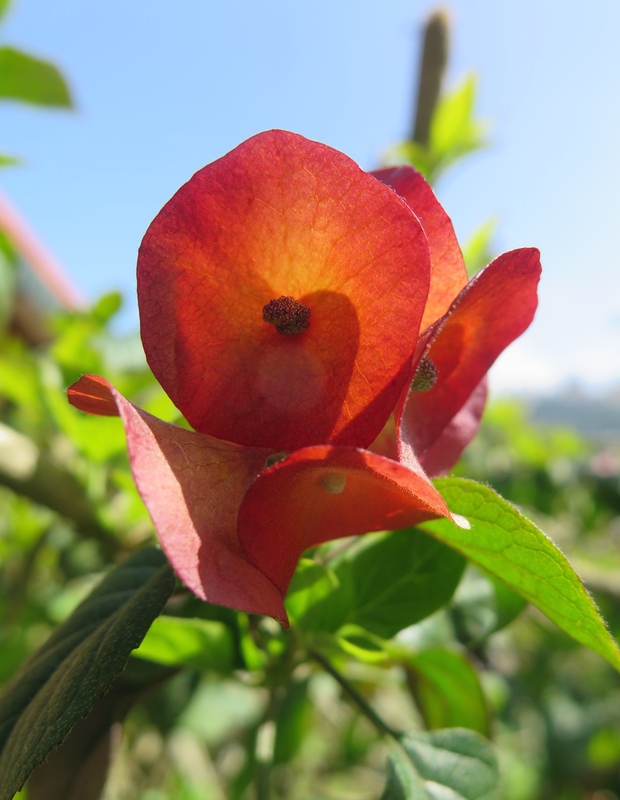 It was a wonderful place, the climate of that place was totally different than that of Kotagiri. We saw tribal settlements and even got to ask them about their daily activities. I was surprised by the government tribal residential school having a total strength of only tribal community people. The field trip helped me to think about my research project on fallow lands as I was also in a place that had human-elephant conflict. The last CBE was conducted as a game. In my opinion, it was a different way of learning. It made us think a lot. I was very happy to hear the Cornell students speak in Tamil. In the evenings we usually have student debrief sessions. It’s not only a time to share our thoughts and ideas but I think it is another way of learning. We’ve had a few group discussions this week which helped me share my ideas frankly even if it was right or wrong. For me the group discussions never get boring!